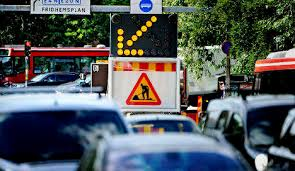 The Importance of Earnest Service » Blog Archive » Service of Congestion Pricing: Positive or Negative Impact on NY Metro Area? This entry was posted on Thursday, April 4th, 2019 at 11:31 am	and is filed under Automobiles, Congestion Pricing, Traffic	. You can follow any responses to this entry through the RSS 2.0 feed. You can leave a response, or trackback from your own site. Interesting that the fee only applies to vehicles entering the area–not those that stay and drive only within the congested area. Sounds like it will most negatively impact those who can’t afford the expensive homes south of the park but need to travel there to get to work or school. 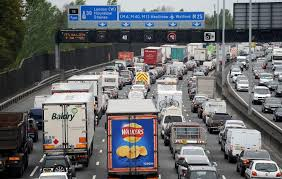 Do you know if the tolls will be 24 hours a day? Or only during the weekdays during rush hour? I’d be hesitant to look to London for inspiration on this topic. The last time I checked, their subway fares are based on zones. New York’s fares are not. So someone here who lives in another borough but works in midtown pays the same fare as someone who lives in the Village and commutes to midtown. We’re not charging more money to those who have less. I’m a big fan of public transportation but I don’t assume that my decisions are best for everyone. From what I gather there are a lot of decisions still to be made. The only thing that was approved on Monday was that there will be a toll but not even how much, or who will be exempt, or how, exactly, it will work. Even bus traffic patterns that will need to be switched haven’t been addressed. The woman quoted in the article who is in favor of the tolls said that the committee has two years to figure it out. Those who must carry heavy sample cases and tools are in trouble. They can’t take a bus or subway and the price of cabs make them out of the question. I heard that a NJ mayor–I THINK of Jersey City– wants to place tolls on New York drivers coming to his city. I don’t blame him. I think that the tolls are dormant on weekends. I didn’t read what weekday hours are affected. People who live just above the cutoff are concerned that their garages and street parking spots will be inundated by those avoiding the toll. I dislike myself for writing this but I have a sad feeling that the middle class and poor are not being considered. They surely weren’t when the taxi fees were slapped on meters. I am a great fan of the subway system; I’ll keep using the trains until my knees no longer bend. Buses not so much. I think your suggestion of casting a sharp eye over the MTA’s books to look for pork is a great idea, especially since I read in the NYTimes a few years ago that the MTA employs over 1000 lawyers. Really? What for? Are there that many law suits pending? There seems to be no rhyme or reason to traffic control in NY. I can’t tell you how many times I have actually seen cyclists in the bicycle lanes. Where are they? And why have the taxi drivers had to add yet another surcharge, fee, tax, or whatever you want to call it, to the actual fare on the meter? Taxi drivers ought to be encouraged, not penalized. Also, IMO, trucks ought to be making deliveries in non-peak hours. 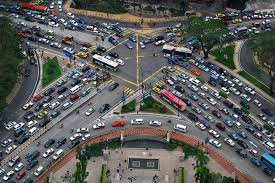 Does any government traffic expert or official have a comprehensive plan to deal with the traffic muddle? And, even if they do, the politics of the situation seem to preclude any meaningful efforts at a solution. 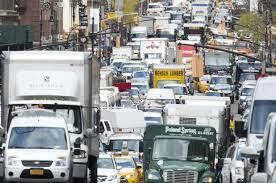 In heavy traffic periods feet or subway are the only options to guarantee on time arrival in Manhattan. 1,000 lawyers? WOWZERS! Scary. And I didn’t think lawyers belong to unions. Seems that the MTA blames unions for its financial woes. How often I’ve moaned about city planning which doesn’t seem to exist. Skyscrapers grow like poison ivy with no thought about what to do with all those people if they want to park or take a subway or bus already bursting at rush hour. Paris has had truck delivery to businesses at night for decades. Makes sense to me. It might not be that expensive to do as the cost of extra labor to unload at night might be saved in the time to travel and unload in heavy traffic. 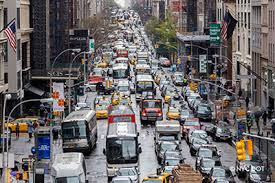 This makes me sad, as did the tone deaf comment by NY Governor Cuomo who said that congestion pricing wouldn’t impact the general population as only the rich can afford to drive to Manhattan. I suspect the apartments in the Hudson Yards neighborhood will be bought by foreigners as most of the very expensive apartments elsewhere are. THAT IS if our current administration doesn’t keep weakening our image abroad by cockamamie proclamations and threats and alliances. Debbie wrote on Facebook: You made so many good points!!! All good questions. Martin on Facebook: suppose that is a regional problem. I barely remember New York, lived in Stamford, and now here. Yet, I would like to be back, but only in good weather and humane politics. I keep thinking of that old saying or chiche: Too soon old, too late, smart. There will always be enough folks willing and able to support outrageous plans. Were this not so, the MTA would be long gone and replaced by an efficient outfit. No doubt about it, this is a nation of sheep. Further comment will lead to bad language. I join you in your frustration. Incredible how poor performance is rewarded with increasingly larger budgets.